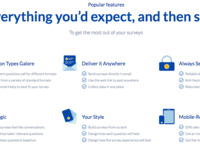 Get answers fast with Nextiva Surveys, our custom online survey software. 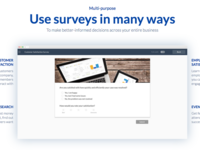 Collect the answers you need to understand your audience and make better decisions. 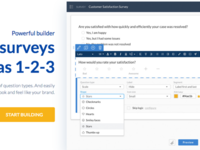 Featuring nine question types, survey templates, email notifications, skip logic, and more, Nextiva Surveys provides all the tools needed to measure respondents. Plus, businesses can customize landing pages, thank you pages, colors, and everything in between! 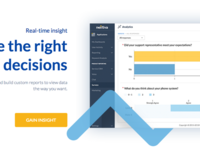 Seamlessly integrate with other Nextiva products for a full view of audiences. 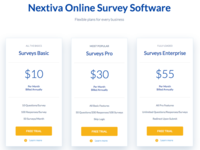 Nextiva Survey Reviews Recently Reviewed! 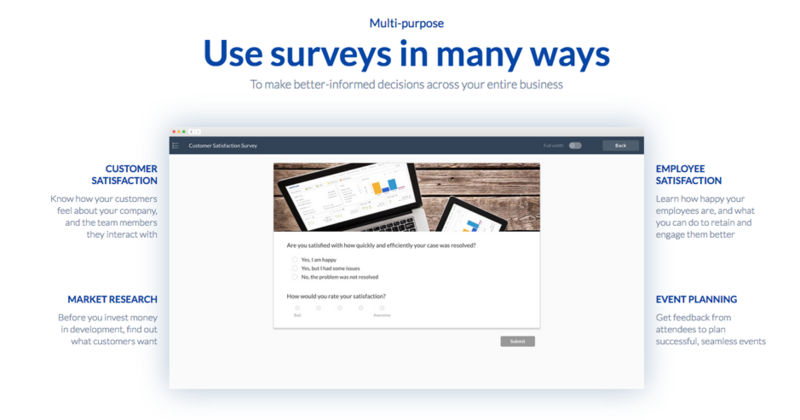 Pros: An essential tool that makes internal communications easy and fast. 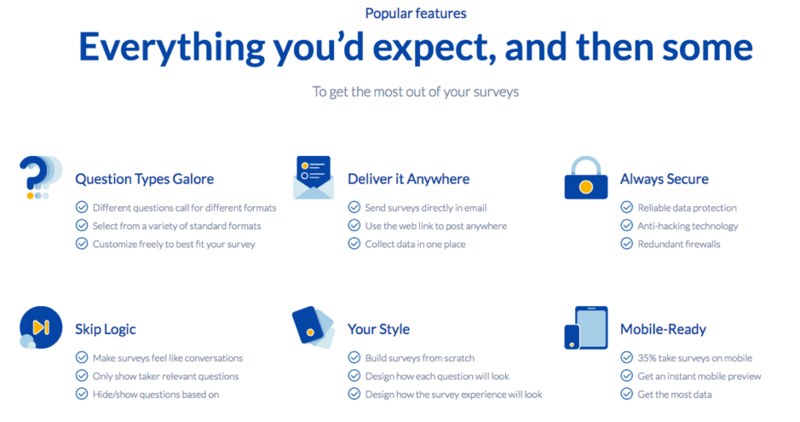 Nextiva has created a great live chat product. Our team loves it! Cons: You need to have the team onboard with this. If they're not interested in using the tool, then it's a wasted investment. Make sure that the team wants it and will use it. 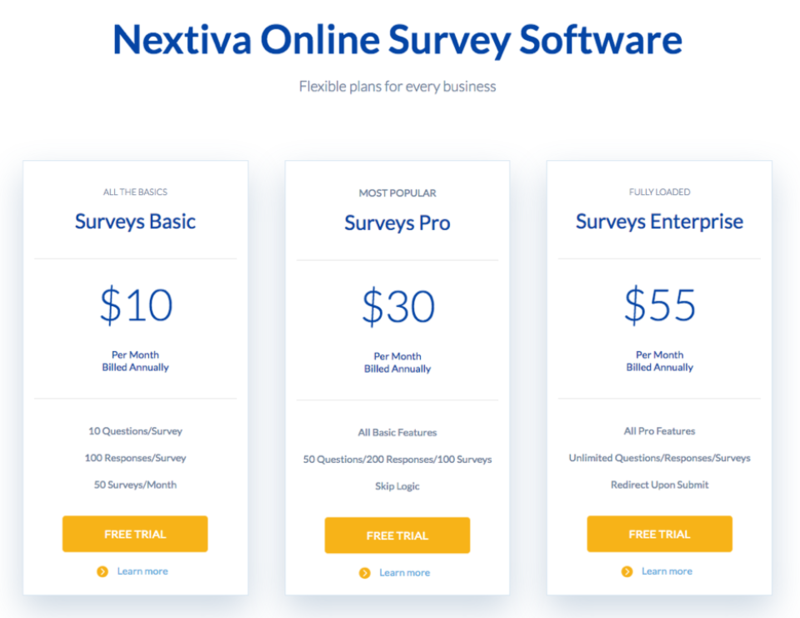 Overall: The Nextiva team where extremely helpful. We got up and running on the system pretty quickly, they trained the team and now everyone uses it all day long. It's really reduced the email volume and bottle necks, as well as speed up production times.